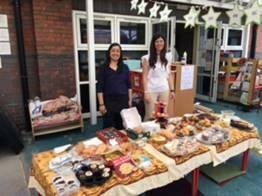 The WGPS PTFA are a registered charity raising funds solely to provide additional help and support for the benefit of the children and the school. 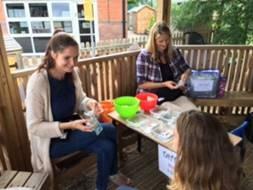 We are very lucky to have many parents and carers that contribute and help in other ways, especially at events which benefit all the children. We are delighted to have the support of Mrs O’Toole and her team and we work closely with our designated school liaison, Mrs Kelly. We have given over £4600 to support the Music project specifically for Junior children. Every child in Year 4 has been able to experience a new musical instrument with support from trained professional music teachers and had the potential to continue in Years 5 & 6. Raising funds to help Key Stage 1 with purchasing a new reading scheme at a cost of £3000 and purchase of mini I-Pads for the IT Suite which will benefit everyone across the school. This year we are continuing to raise funds towards the purchase of smart white boards ‘clever touch’ as well as support the school in their new exciting reading project. 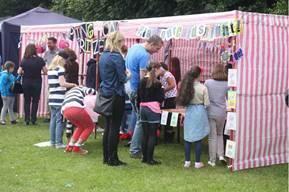 We try and do a number of events that has a broad appeal to everyone’s taste and pocket. 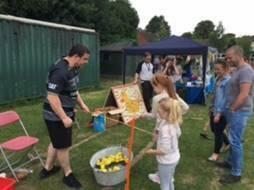 Therefore we try and run two Infant Events (Disco & Magic Night or similar), two Junior Events (Disco & Film Night), a family event (Bingo), an Adult event (Quiz) and a Christmas and Summer Fayres. We also have our annual Penny Drive in May where each of the classes become competitive to try and raise the most money from donations of 1p, 2p and 5p coins winning weekly prizes and then an overall prize and cup. Additional revenue has come from selling of donated pre-owned uniform, which benefit both children and parents and also through our environmental recycling by textile collections – so please continue to support us as you have been. If you have any suggestions for new events or ways to raise funds, please let one of the committee know. We are delighted with and thank you for all your support over the years to help raise the funds that benefit all the children whilst at Wylde Green. If you want to find out more or get involved or join us on the committee, please chat to one of the committee or leave a note with your contact details in our post box by the school office.